Rulers have always wanted to control the flow of information to the people. The Internet allowed people to communicate with large numbers of other people, inexpensively and around the #RulingClass gatekeepers of information. Now, the #RulingClass is reasserting control over information, and #FreedomOfSpeech is at stake. As part of the #RulingClass effort to control over information, #BigDemTech has declared electronic Jihad on conservatives and the #MAGA movement. They have their thumbs on the scale now. Scarcely a day passes without new reports of #BigDemTech censorship, and that does not include “sneaky stuff” like shadow banning and censoring people who don’t a way of publicizing the censorship. During the election this fall, #BigDemTech will have their elbows or their legs on the scales to help the Dems win in order to stop Donald Trump and our MAGA revolution. We are in an all out cultural, political and economic civil war for the fate and future of America. 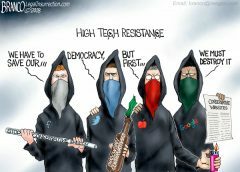 #BigDemTech has gone all in with the #DemParty and its leftist allies. We cannot concede them the social media battle space. There are too many people there. It is the new public forum. Even though the #DemParty has outsourced its censorship to big corporations, it is still censorship of free speech. 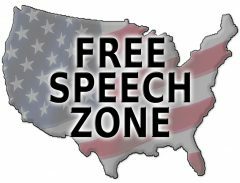 Loss of #FreedomOfSpeech is loss of freedom of speech whether done by the government or #BigDemTech companies. This is not just important, it is urgent. Dr. Robert Epstein, the senior research psychologist at the American Institute for Behavioral Research and Technology and expert on the effects of social media on behavior, determined #BigDemTech can shift 12 MILLION voters in the 2018 election. Instead just whining, whimpering and losing like good Republicans, we need to fight back, and we need to win. We need to follow the same strategy we are successfully using with the #MSM, replace and undermine. In addition, we should wage “lawfare” against #BigDemTech. We need to employ every available political, economic and legal weapon at our disposal to fight this dire threat to #FreedomOfSpeech and the #MAGA cause. We have many options of attack. There are things individual #MAGA Patriots can do, things larger players such as prominent conservatives and larger groups can do, and things our allies in government can do. Some of our options overlap. The following multi front battle plan will take years to fully implement and defeat #BigDemTech’s censorship. However, if widely implemented now, it can have a significant effect blunting #BigDemTech’s efforts to suppress #FreedomOfSpeech and help the #DemParty win the 2018 election. **1. START THE CONSERVATIVE EXODUS OFF BIG DEM TECH. Conservatives, Reps and MAGA Patriots need to start our exodus from the #BigDemTech. While we should keep using #BigDemTech as long as we usefully can, start crossing posting on alternative social media. As more prominent conservatives do this, this will speed the exodus. People will follow content and other people, and content will follow people. If President Trump was to start duplicating his social media on the following alternatives, that would be Yuuge. Conservative media can easily and inexpensively encourage the exodus by publishing on alternative social media and including share buttons on their articles as do for Facebook and Twitter. MeWe and Minds have an iPhone app. I don’t know about Google play. Apple and Google refuse to host a GAB app to limit its reach. However, if you save a bookmark for GAB to your home page, it functions like an app. The exodus will take time just as it took time to build up #BigDemTech. However, since we are already used to using social media, it should take less time. In addition, however long it takes, the sooner we start, the sooner we get there. Furthermore, as #BigDemTech sees their customers leaving, they may alter their behavior. #BigDemTech are “socialists” when it comes to other people’s money, but they are “ruthless, greedy capitalists” when it comes to their own money. 2. WHENEVER POSSIBLE, DON’T SUPPORT THE ENEMIES OF FREE SPEECH. #Google aka #Goolag is the most dangerous and resolute enemy of the #MAGA cause and freedom of speech of the #BigDemTech companies. Tests show Google can sway the undecided vote 90/10 by secretly manipulating search results. I use Duck Duck Go as my primary search engine, and I am happy with it, except for maps. I use Bing for maps. In addition, don’t use Chrome. Don’t use Gmail. Not only does that support Goolag, Goolag scans your email and uses the info to place ads before you based on the content of your emails. In addition to the usual suspects, Yahoo, AOL and Hotmail, look at Proton Mail and Zoho. Proton Mail is Swiss based, provides more privacy and encryption, and does not have ads. But, the flip side of no ads and no data mining is you have to pay for more than the basic service. Proton and Zoho have apps for your phone. 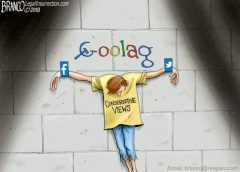 Yahoo, AOL and Hotmail [Microsoft] are liberal companies, but they are not our active, resolute enemy like Google aka Goolag. Remember the basic economic principle: TANSTAAFL. [There Ain’t No Such Thing As A Free Lunch.] If a company offers a “free” service on the Internet, YOU are the product. **3. BE SMART AND CLEVER IN USING BIG DEM TECH. This may take some trial and error and sharing info with fellow Patriots. If we can get 75% of what we want on #BigDemTech, that may better than pushing the envelope for 100%. A. Islam, gays, transgenders and illegal immigrants are at the top of the #DemParty totem pole of preferences so be more careful in posting about those issues. I have shared articles from Gateway Pundit and Pamela Geller regarding the massive problems mass immigration of “people from the Middle East and Africa.” I usually do not use the words “Islam” or “Muslim.” Sometimes I share the articles without comment. Sometimes I refer to the “religion of peace.” Everyone who sees the post and the headline on the article I shared knows who and what ideology we are talking about. #BigDemTech has not banned or suspended me or even removed such posts, although they may shadow ban me or the posts. B. Someone posted that if we put our words in a picture file and post it, Facebook’s program does not read the words. I do not have confirmation that is true, and a lefty could report the post to Facebook or other #BigDemTech company. It’s an option to experiment with. C. Establish back up accounts. We are not supposed to do this per #BigDemTech rules, but I know people who have done this successfully. D. If possible, appeal the censorship to the #BigDemTech company doing so. I have had some success doing this. It can’t hurt. If you publish a good and effective post and end up in “Facebook jail,” take the opportunity to reintroduce yourself to your family and real world friends. **4. LEGAL CHALLENGES AND LAWFARE. 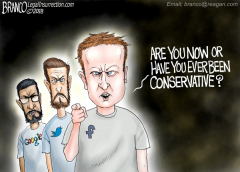 Some conservatives say #BigDemTech are private companies, and they can censor anyone and everyone they want. That is prewar thinking. The #DemParty and its leftist allies use the legal system an integrated part of the political battle strategy and tactics. They call it “lawfare.” We are in an all out political, cultural, economic and legal civil war for the fate and future of America, and we need to use every political, legal and economic weapon available. 1. The political censorship itself. 2. Discriminatory application of their rules. 3. Vague rules that facilitate discriminatory application. 6. Not following their own public pronouncements of not censoring and offering a forum for all. 7. The “sneaky stuff” such as shadow banning. 8. Manipulating search results for political reasons and doing so without notifying the search engine users. The mere filing of highly publicized FTC complaints may deter some #BigDemTech censorship and suppression. We should also file complaints under state unfair competition laws with state agencies on the grounds listed above. The more pressure we can generate and the more fronts #BigDemTech has to fight on, the better. B. LEGAL CHALLENGES IN COURT. Prager U lost its lawsuit in Federal court in California and will appeal. There was a lawsuit in California state court against Twitter. That one survived a demurrer and is pending. 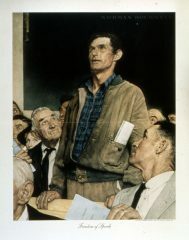 It is a small step from that case to applying the First Amendment to the pervasive #BigDemTech communication platforms that are the new town square. We can learn from our enemies. Keep filing lawsuits in multiple jurisdictions until we find a favorable judge. Keep filing complaints with government agencies until we find one favorable. The Left’s tactic of #lawfare can work both ways. Conservative state AGs should join in. Even better, when and if the compromised and/or ineffective Jeff Sessions is replaced with someone on our team, the US Justice Dept should join in. #BigDemTech are clearly trying to help the #DemParty in the 2018 election. Federal Election Commission complaints for in kind contributions may also helpful. Supplement FEC complaints with complaints to state election commissions. Our political leaders and opinion leaders should publicly and repeatedly warn #BigDemTech that if they use their communication services to help the #Dems, it should be investigated and prosecuted as an illegal in kind campaign contribution. The more pressure on #BigDemTech and the more legal risk they perceive, the better. Legislation regulating #BigDemTech as communication service providers like telephone companies would be great. Some conservatives oppose this as government regulation of business. This is prewar thinking. America is on the line. 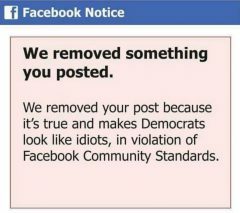 In addition, whether the government or #BigDemTech censors, it is still censorship. The Dems will never give this advantage, and they hate #1A as much as they hate #2A. They will filibuster any Federal legislation, and the Reps are too timid to eliminate the filibuster. Furthermore, too many Reps receive campaign contributions from #BigDemTech and are afraid to bite the hand that feeds them even though #BigDemTech’s other hand is preparing to squash them like a bug. However, there are 26 states with Rep majorities on both houses of the state legislature and a Rep governor [vs. only 8 for the Dems]. There could and should be 26 states with laws forbidding political censorship by #BigDemTech. **6. PUBLIC RELATIONS AND POLITICAL PRESSURE. Conservative politicians should also pressure #BigDemTech by making public statements, introducing bills to regulate political censorship, and holding public hearings dragging #BigDemTech CEOs before Congressional committees and TV cameras. If conservative and Rep politicians and opinion leaders continually and forcefully denounce “un American censorship by #BigDemTech” that will further move public opinion against #BigDemTech and put more pressure on them. Someone with more reach than me should organize a one day social media strike against #BigDemTech as a warning of what will have when conservatives leave #BigDemTech. Again, the more pressure, the better. One more small thing, use and promote the hash tag #BigDemTech. In this regard, it is both vital and urgent to fight back against #BigDemTech censorship with every political, economic and legal weapon at our disposal. Making America Great Again depends on the Reps holding the House and Senate in 2018. Left unchecked, #BigDemTech can sway 12 MILLION votes. That is the equivalent of all of the [supposed] 11 MILLION #IllegalImmigrants voting. The country we save may be our own. "THE PATRIOT BATTLE PLAN AGAINST BIG DEM TECH TO SAVE FREEDOM OF SPEECH AND AMERICA", 2 out of 5 based on 3 ratings.